The wool yield from a North Ronaldsay sheep is small – around a kilogram on average. In older times, the wool was spun in the island on spinning wheels to make clothes. In modern times, this became uneconomic, and the island wool clip was sold to the Wool Marketing Board, for just a few pence per kilo. In the mid-1990s, Judith Glue from Kirkwall, who had developed a very successful, knitting business, pointed out to the island the big differential between what they were getting for their clip and what they or others would pay for spin yarn. She suggested that they set up a system to buy the island’s whole annual wool clip – around two and half tonnes – and send it to a mill to be spun. The island’s community council took up the initiative, with encouragement from Orkney Islands Council. The clip was purchased and sent south for spinning, and the resulting yarn sold as a distinctive product for knitting into jerseys and other fashionable woollen items. Some of the knitting was carried out in the island, some by former islanders living on the Orkney mainland, and some by people interested in the opportunity to try out a new type of yarn. The next step was to set up a small company, with the support of Orkney Islands Council and Orkney Enterprise. It was called A Yarn from North Ronaldsay. The cost of the freight of the wool raised an interesting question: was there any way to spin it on the island itself? Commercial mills today operate on a large scale, so that the North Ronaldsay clip would be processed in a day or two, and smaller machinery on a more local scale was unknown in Britain. But then at a sheep conference in the island organised by Orkney International Science Festival, a visitor mentioned a company in Canada. Belfast Mini-Mills of Prince Edward Island was set up to provide equipment for spinning specialist wools on a cottage industry scale. Their machines have been exported to many places, and used for wool from alpaca and llama to husky and Samoyed. Jane Donnelly of A Yarn from North Ronaldsay travelled with her husband Peter to Prince Edward Island and were impressed, and plans were made in North Ronaldsay to source funding for a mill. An ideal location had just become available, in one of the lighthouse buildings that had become redundant when the lighthouse had become automated. The lighthouse workshop had a strong concrete floor and all the necessary electricity and water laid on. In 2003 the crates of machinery arrived, along with Jeff Birtwhistle of Belfast Mini-Mills who spent two weeks helping to get it all operational. He was impressed with the quality of the wool. 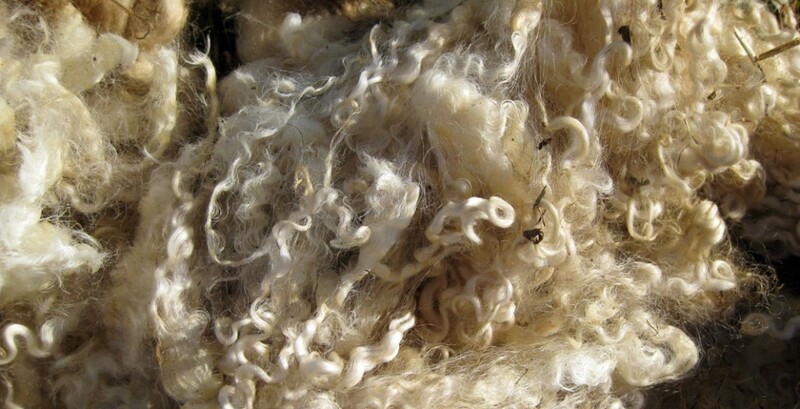 Linda Cortright of Wild Fibers magazine is impressed with the quality of the wool. In addition to the spinning machines, the mill also has a felting press, and the output from this has been used for a range of products, from rugs and wall hangings to linings for baskets.